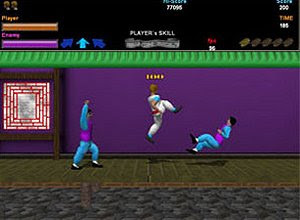 Kung fu Master 3D is a Remake of the Original Arcade Game by Irem Corp.1984. It's all based on this but the developer's version is in 3D and will have at least 1 Level more and maybe a Bonus Level. The current Version has the first 4 Levels.